"It is with great and sincere pleasure that I write this statement of service and value on behalf of iTech and their excellent program expEDIum Medical Billing. Making the decision to go through a software conversion was not taken lightly. Change of this magnitude takes a lot of patience and hard work. We are very thankful that we went with iTech. …"
A Philadelphia based Ambulance biller with 20 ambulance agencies that processes over 4000 professional claims a month. The claims are being sent to PA, WV, NJ Medicaid, Medicare, BCBS and several commercial payers. 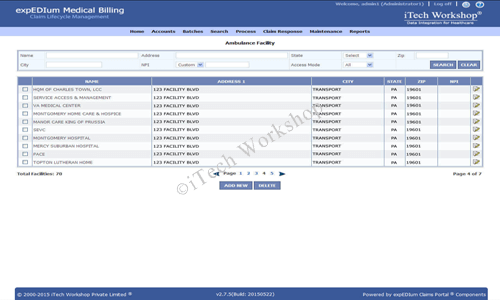 They were using a legacy billing software and they have completely moved to expEDIum Medical Billing (eMB) solution. iTech migrated this client from their legacy system to eMB solution along with some data such as the contracted facilities list. iTech's eMB addressed the main issues faced by the biller effectively. In addition to the above issues, the solution has a built claim validation and a claim scrubber that ensure only error free claims are sent to the clearinghouse and the payers. The solution streamlined their billing operation by standardizing the processes and also made the claim life cycle more transparent. The biller was able to increase the productivity and streamline the billing operation with more automation and lesser paper handling with respect to book keeping, invoices, reports, etc.,. The ambulance agencies were able to access their data using secure provider logons and also had access to variety of reports. This installation used Office Ally as their chosen clearinghouse as their payer list had a good coverage of relevant payers from Pennsylvania, West Virginia and New Jersey states. They had also enrolled with all the relevant payers to receive ERAs automatically through the clearinghouse and in turn in to the eMB system. The biller processes over 3200 HCFA claims a month with less than 2% denial rate compared to the earlier 3% denial rate. 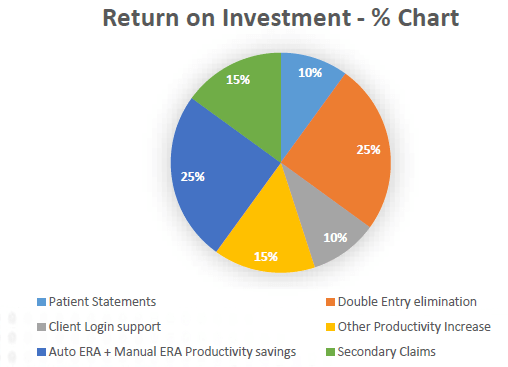 The overall productivity improved resulting in better claim visibility, automation and denial/rejections processing. 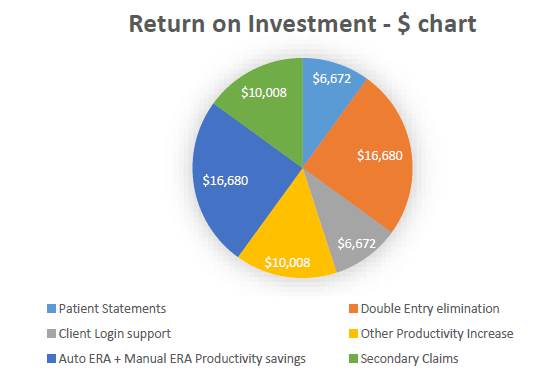 The biller received Electronic ERAs (that are auto posted) for about 89% of the claims sent and the remaining 11% on paper EOBs (that are manually posted). The 89% auto posting saved 100s of hours of data entry savings every month. The secondary collection went up from 16.12% (of total # of claims) to 21.49% due to increased visibility. Deleted all the double entry for mandated electronic. The total work hours cut in half. The staff is able to concentrate on other aspects of the business such as compliance, client training and marketing. expEDIum has basically allowed the billing agency to spend more time on the things they always wanted to do but because of everything being manual in the legacy system didn't have the time or resources. The (biller's) clients being able to get into their own system are a huge time savings on phone call	resolution/question time spent by the billing agency. The billing agency has also been able to assign account managers so clients have the same person to work with throughout. Account managers are able to handle the account from start to finish.